For the safety of Michigan bicyclists and motorists, it is hard to imagine a more important piece of legislation than a “safe passing law.” Safe passing laws require motorists to pass bicycles at a safe distance and speed, and often dictate a minimum distance (typically three feet) that motorists must ensure separates the edge of their vehicle from the bicycle. 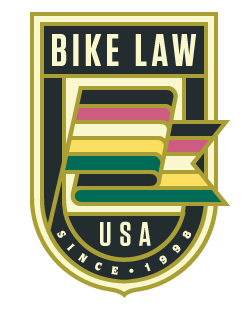 Over the years, our law firm has represented cyclists injured in all types of motor vehicle/bicycle accidents. We have represented cyclists struck by vehicles at intersections, on crosswalks, as the result of being “doored,” but the most common type of accident we see involve collisions where a motor vehicle strikes a bicyclist while attempting to pass the bicycle, when traveling in the same direction. Tragically, it has been our experience that these types of crashes typically also result in the most severe injuries to the cyclist. Our law firm’s experience is consistent with national statistics. According to the United States Department of Transportation’s National Highway Traffic Safety Administration, there were 677 cyclist deaths in 2011. Studies have determined that almost 60% of fatal bicycle/motor vehicle accidents involved a vehicle and bicycle traveling in the same direction. Twenty-three states and the District of Columbia have safe passing laws which require motorists, when passing bicyclists, to make sure that there is a specified distance between the car and the cyclist. Twenty-one states and the District of Columbia have enacted “three foot passing laws,” mandating that the safe distance to pass a cyclist shall be no less than three feet. (Arizona, Arkansas, Colorado, Connecticut, Delaware, Florida, Georgia, Illinois, Kansas, Louisiana, Maine, Maryland, Minnesota, Mississippi, Nebraska, Nevada, New Hampshire, Oklahoma, Tennessee, Utah, and Wisconsin). Pennsylvania has a four foot passing law, and Virginia has a two foot passing law. California recently passed a three foot passing law, but it will not take effect until September 16, 2014. Additionally, nineteen states have “general passing laws,” which require vehicles to pass bicyclists at a safe distance and speed, but do not provide a specific minimum distance for passing. The problem with general passing laws is that they give motorists little guidance as to what is considered a safe passing distance, and leave far too much room for interpretation when attempts are made to enforce the safe passing law. The driver of a vehicle overtaking another vehicle proceeding in the same direction shall pass at a safe distance to the left of that vehicle, and when safely clear of the overtaken vehicle, shall take up a position as near the right-hand edge of the main traveled portion of the highway as is practicable. Since Michigan law does not include a bicycle in its definition of “vehicle” (MCL 257.79), bicyclists are not protected by this statute. Obviously, cyclists are in far greater danger of being seriously injured by a passing motorist than the driver or passenger in another motor vehicle. Accordingly, it only makes sense that Michigan afford at least the same protection for bicyclists that are being passed by motor vehicles as it does to motorists. We strongly believe that the Michigan Legislature needs to take action now to protect cyclists, give motorists clear guidance as to what is considered safe passing, and enact a safe passing law which specifies a safe passing distance of no less than three feet. Bryan’s post also appears on the Bike Law Blog.